This document was produced through a series of consultations in 2017-2018 with members of the Working Group on Protection of Humanitarian Action, an initiative gathering more than 20 partners and organized by the Advanced Training Program on Humanitarian Action (ATHA) at the Harvard Humanitarian Initiative (HHI) and Action Against Hunger (Action contre la Faim). The Working Group aims to mobilize a community of practice and foster cooperation through peer-to-peer professional exchange and information sharing, research, and advocacy. 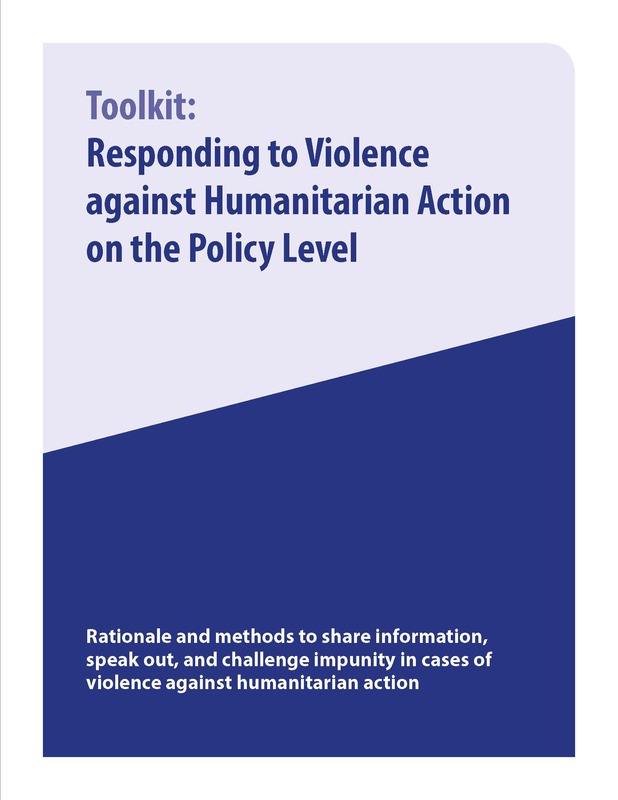 The purpose of this toolkit is to ofer guidance to humanitarian actors for responding to violence against humanitarian action, in order to promote a more protective environment for the provision of humanitarian aid to civilians.